Have you ever needed to email large files but your IT dept limits attachments to 10MB or lower? 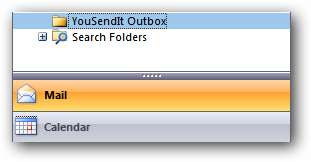 Today we will look at a plug-in for Outlook that will allow you to send attachments up to 100MB for free. 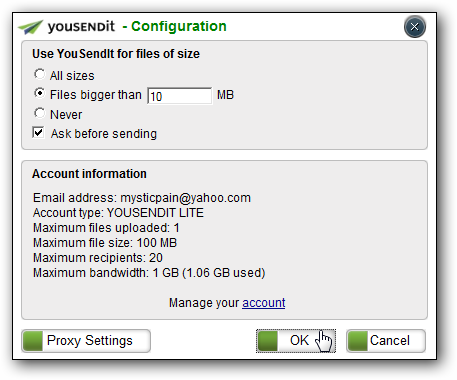 YouSendIt.com is a popular website for sending and receiving large files of up to 100MB for free. 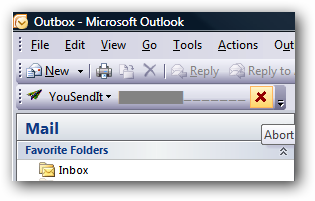 They now have an easy to use add-on for Outlook 2003 and above. After installation restart Outlook and you will notice the YouSendIt button with a drop down menu for signing in, configuring settings, and getting support. To start using this plug-in you will need to log into your account or sign up for a new one. The very cool thing is they allow a 14 day free trial for a pro, business, or corporate account. This allows you to send up to 2GB files and various total usage amounts per month at different rates. 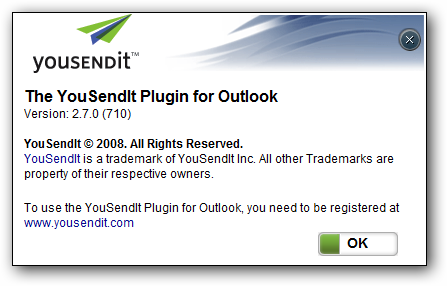 After the trial you are downgraded to YouSendIt Lite which should be adequate for individual use. Another thing to check out right away is the configuration, where you can designate YouSendIt for files over a certain size. You might want to contact your IT department for the attachment limit. That is basically all there is to it unless you need to configure proxy settings. Just compose a message and include that large attachment as you normally would. You will have a confirmation message pop up and just click Yes and your file is sent. While the file is being uploaded to the YouSendIt servers there is a couple of things to take note. There will be a progress bar and abort option where the plug-in button is at. Also you will notice a YouSendIt Outbox. The plug-in also includes support so you can contact the company with any problems, make sure to turn on logging to send diagnostic files for easier troubleshooting. I have been using YouSendIt for several years now and have always been happy with the service. This small plug in makes it more efficient to send large attachments without having to navigate to the website. The free account allows up to 100MB files and for larger files there are different subscription plans. I have only tested this on my home Outlook setup and work great (upload time seems equal to using the site). If anyone has used this with Exchange Server we definitely welcome your comments!